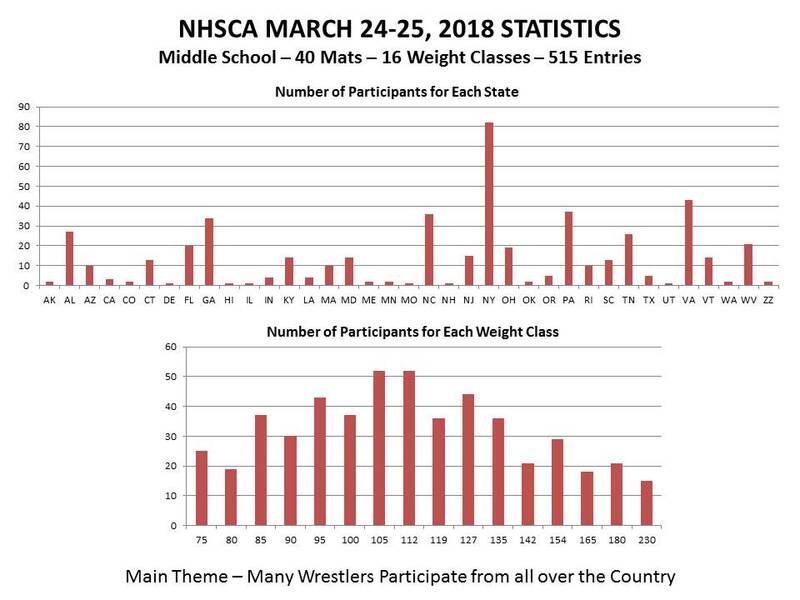 - The NHSCA May 2018 event is structured as a "Duals Format" for both high school, middle school, and elementary school age groups. Event Friday afternoon, May 25 through Monday, May 28 with guaranteed six matches minimum at the Virginia Beach convention center. Wrestling begins Saturday morning. - This website tab pertains to event details pertaining to the middle school element of the larger FCA group effort. Other coaches are managing the high school elements. - Wrestling is Saturday through Monday with six duals guaranteed. - This is a great time and place to go for a mini family vacation! - Parents may leave their child with another family in accordance with arrangements made in advance of the trip. The high school wrestlers are making separate arrangements to rent one large beach house to save costs, however, this is currently separate from the middle school age group. If a child is left with another family the parents or guardian would not be required stay with them. However, we encourage families to use the event as a mini weekend vacation and enjoy the experience together. - Green text shows those that are paid in full. If someone currently occupies your desired weight class, then merely email Bill to express your interests in case someone drops or cancels out. - Once selected, you will be given a registration link to check waivers and complete the payment process.